Folks, I’m re-posting this incredible discussion from Archangel Michael 2 years ago. In it, in a very discursive and informal manner, he describes how the Archangelic Kingdom operates. This kind of information simply would not have been available, or if it was not as easily available, say, two hundred years ago as it is now. 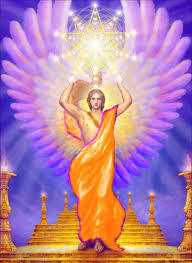 “Archangel Michael: We are All Aligned with the Heart, Mind and Will of One,” channeled by Linda Dillon, January 23, 2014, at http://goldenageofgaia.com/2014/01/archangel-michael-we-are-all-aligned-with-the-heart-mind-and-will-of-one/. Steve Beckow: I don’t think many of us know how decisions are reached among the celestials, the ascended masters and the galactics; among the members of the Ascension fleet above us; between the Ascension fleet and the people on the ground; how decisions are arrived at by President Obama when he consults with you, if even telepathically … or whatever. We don’t know anything about how decisions are reached, how timing is decided, how events are coordinated. Could you talk to us about that, please? 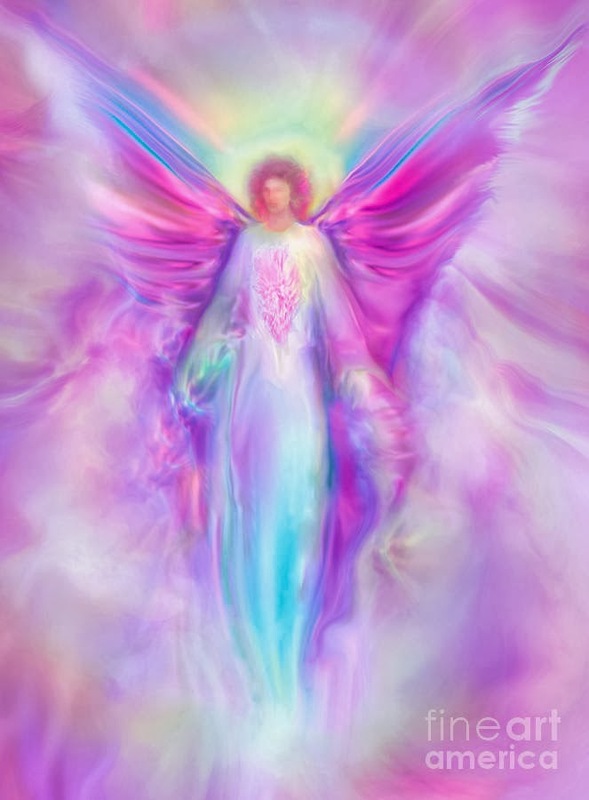 Archangel Michael: Let us begin … by saying what we are describing is also a prelude to where you are heading, so it is a timely and planned discussion that we have this day, and we are completely in a unified field, as are you and as are you with us. And when I say ‘with us’ I mean what you think of as the Company of Heaven, the Council of Love, Ascension Command, your star brothers and sisters, the ascended masters, the universe. So this is a massive question. Now, let us start by describing how we work. And again, I will attempt to translate it. We have never varied. We have never departed. And when I say ‘we’ now I am speaking of the angelic and the archangelic realms, with the exception of the fallen angels, who have had the experience of variance. But we are aligned with what you would think of as the heart and mind and will of One, and therefore the design and the plan in all its infinite glory of the Mother. And we can speak specifically to two weeks or two thousand eons. You have a term on Earth, a word, called entrainment. And the example is when you see schools of fish in the beautiful, crystal clear waters of the Caribbean where you are all headed, spiritually, that swim one way and then without explanation, as a collective, change direction. You see it in flocks of birds, and you see it in human behavior. You tend to think of it as trends or patterns of behavior. But think of it in this way — that we are in complete entrainment with the Mother. So we do not vary from that flow, from that ebb. If there is a thought, a desire, that then becomes a creation and a variable in the plan, then we are all flowing with it continually. So there is never any discord. Now, that does not mean that we do not have unique and specific roles within that field, because we do. And that is part of our joy and part of our service to the Mother. So if you were to think of it as an org chart, you would think, of course, Mother is the CEO; Father is the chairman of the board. And the direction is set, obviously, by their collaboration and union. And I suggest to you, they are always in agreement. Archangel Gabriel, Gabrielle, is the central administrator. That Lily of Love is actually a very powerful being. So we do have roles. And you can think of Gabrielle as being responsible to administer the plan. Now, we are not speaking of someone who is doing a great deal, but rather overseeing — yes, there are incursions now and then — but she allocates various responsibilities to where they are most appropriate. And again, there is never — well, I should never say never — occasionally there has been discussion, lively discussion, in your terms, about who does what. But that might be for another discussion, when we share family secrets. So, through Gabrielle, an element, a fragment of the plan is assigned, and these assignments, as we say, sometimes are very brief, but generally very lengthy. We tend to think of time in far greater spans than you do. But within that span of time there are very specific goals, outcomes, benchmarks that the Mother anticipates to have come to pass. So you can think of that as the Divine Timeline. So, Gabrielle will say to me, “Well, Michael, there can be no Ascension, there can be no movement of the entire collective until there is greater peace.” Now, she does not guide me or direct me on how to do that. She simply says, “You take care of it.” And if you know my sister, she expects me to do just that. And so that is an element. And I will come back to that simply because I can explain it as it is my forte and sphere. Steve Beckow: Well, if I can intervene for a minute, the angels of pink are seraphim. So right there you say something that probably collides with current knowledge. 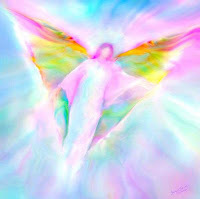 In fact, I’m hearing more and more about the seraphim being involved in our Ascension. But ordinarily, before that, I wouldn’t have thought of the seraphim as being involved. AAM: The seraphim have never been involved before. SB: Hm-hmm. What has changed? AAM: The Mother’s desire to have completion of this Ascension process. AAM: So, similarly, she will speak to Raphael and ensure that the healing, in every aspect, is going to be addressed. So, we as archangels know what our role is. Uriel is charged with anchoring enough inspiration and planting enough of the energy of the future to create that bridge, to bring light where there has been darkness. The imagery I give to you is with philosophy and the cave, (1) and humanity has been in the cave looking at the shadows and believing it to be reality for a very long time. So Uriel brings you out of the cave. Then, she turns, as an administrator, still, and she collaborates — note what I say, ‘collaborates’ — with Sanat Kumara, with your beloved Raj (mine too, as well) because he is charged with the unfoldment of this plan for Earth and for humanity. And this is not merely esoteric or spiritual. Sanat Kumara — and that is why he says, at times, that he can speak more bluntly, more specifically, more freely, because he is addressing human concerns, human behaviors, human patterning, human change, human timelines and the listing, alteration, transmutation of that to the higher plan — is charged with “How is this going to unfold?” in very practical ways. What is the logistical plan for this? So, you would think of it as equipment, food, “How does the army travel? Are they fed? Are they clothed? Are they ready?” And this is a massive undertaking. Now, each of us, of course, has legions that we work with. And many of you, of course, are part of those legions. And some of you are part of several legions. You have volunteered, you have been seconded, you have worked in various roles and are working in various roles, particularly during this lifetime. And yes, all of our roles overlap. That is not a problem for us. We are not tripping over one another. We do not have stringent, what you would think of as job descriptions. But we have these very broad parameters within which we work. Now, the same is true of your star brothers and sisters. You tend still to think of levels — are they at the same level as the seraphim, as the archangels? No. But they are part of that alignment. They are living in the higher realm, the dimensions. They have made that alignment with love, with peace, with healing. And so their mission and purpose have become to spread that love and that service to others, and their primary mission at this point in time, in this universe, in this reality, as we are talking about Ascension, is to Gaia and to humanity.